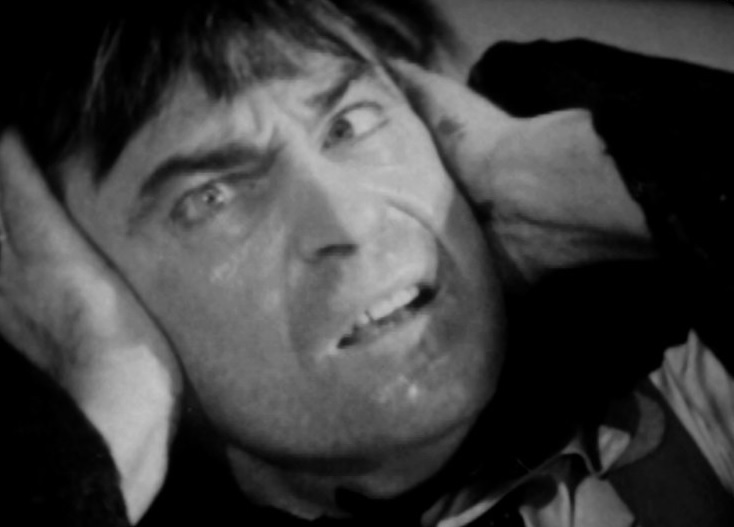 So, after Peter Cushing blazed a trail, it was pretty easy for Patrick Troughton to slip into the part. 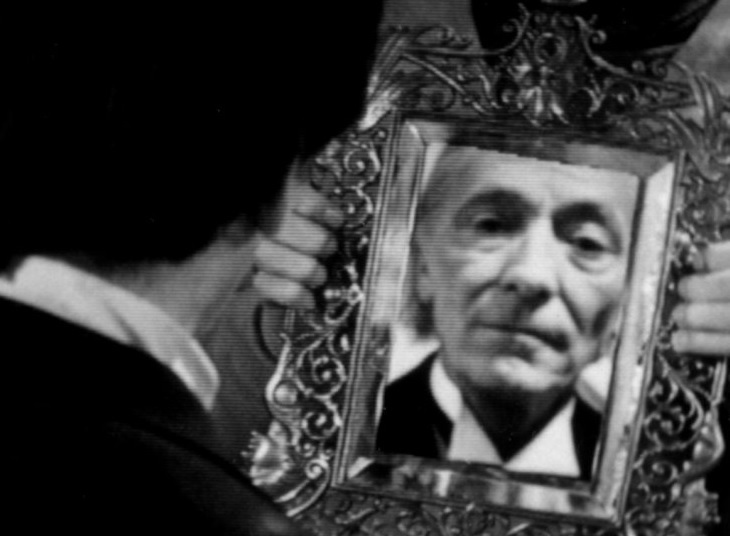 As Cushing proved, Doctor Who wasn’t the sole property of Billy Hartnell; now any actor could take on the lead and make it their own. No wonder Troughton gave such an assured and relaxed performance in The Power of the Daleks. He had it easy. Now, you will notice this article is titled ‘13 ways to experience The Power of the Daleks’. Ever since its broadcast 50 years ago and the destruction of the last known film prints in 1974, Who fans have been striving to experience Power’s power in multifarious ways that you just don’t get with other stories. Pick almost any TV Who tale – Horror of Fang Rock, Carnival of Monsters, or The Sensorites – and there’s a clear answer how to watch. For The Sensorites, you simply put on the DVD and, after the first episode, adopt a fetal position, rock forwards and backwards gently, clasp your head in your hands and whisper, ‘Time is not slowing down, time is not slowing down, I shall get through this, help me Logar…’ Then repeat for 125 Ood-forsaken minutes. And relax. 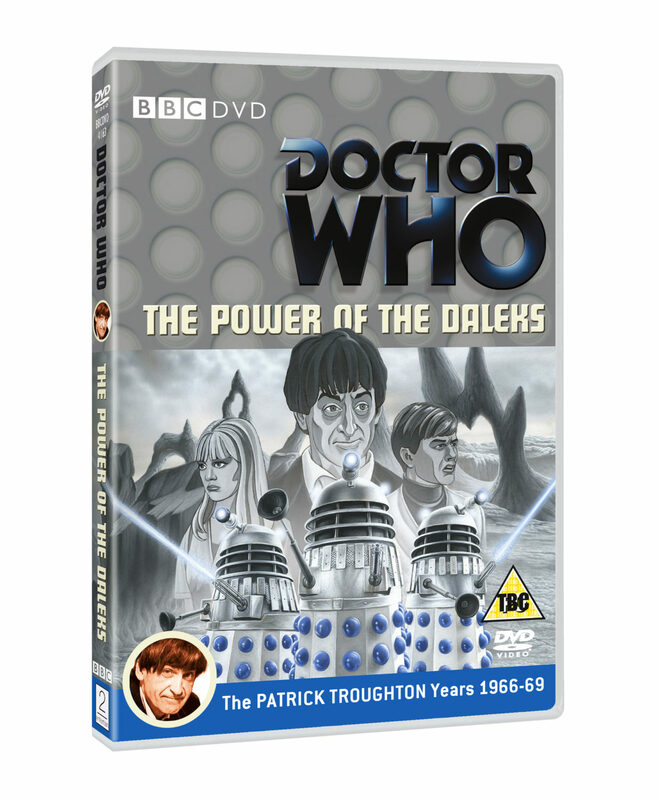 One pretty sure-fire way to authentically view The Power of the Daleks is to have actually watched the show when it went out on the tellybox. 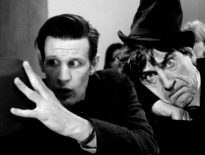 For optimum effect, you would have to be born in 1954 and therefore be the Who golden age of 12-years-old: not too young for it to be a blur in the memory, and not too old to risk being stupid enough to consider Doctor Who ‘a silly show for children.’ It is silly and for children. That’s why it’s brilliant – are you listening, you imaginary 13+-year-old from 1966? 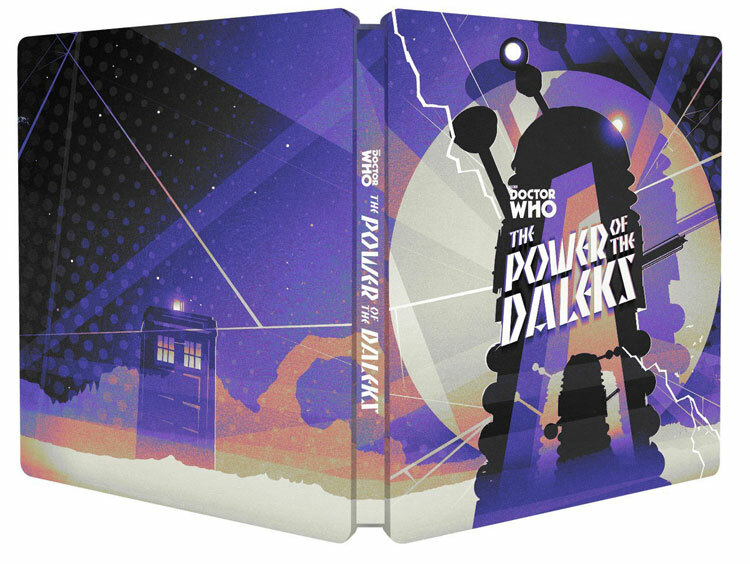 More than 25 years from the original broadcast, the release of this script book finally gave fans the first official way to ‘view’ The Power of the Daleks. And it’s a pretty good record of the episodes, if you don’t mind not having anything to look at or listen to. The only way to bring it alive (other than the voices in your head) is to grab a few beers, get the neighbours in, and have a dramatic reading… So it would help if you lived in the same street as Bernard Archard, Peter Bathurst, Robert James, Nicholas Hawtrey, and Pamela Ann Davy. Otherwise, with Brenda from number 46 as Lesterson, Tony from number 37 as Polly, and Ralph the dog from number 22 voicing the Daleks, it may not be quite as authentic as hoped (plus I can hear Nick Briggs at number 8a sobbing into his modulated ring). 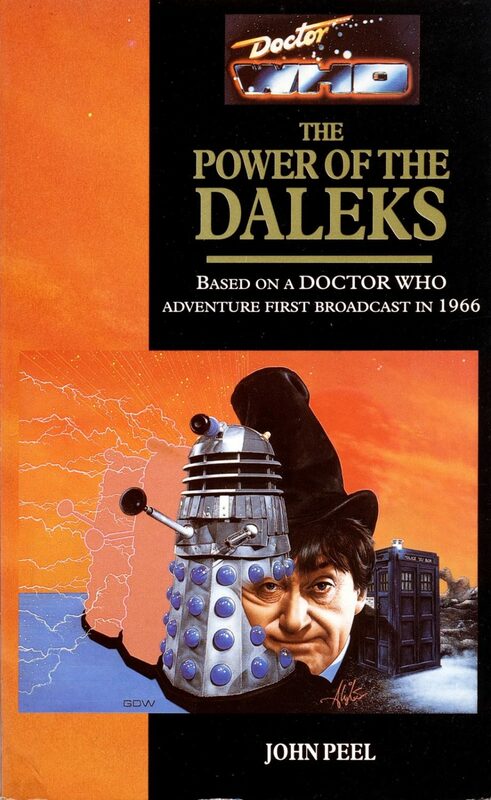 Just three months later, Virgin Books released the adaptation of Power which, due to wrangles with Terry Nation’s agents, did not feature in the original run of Doctor Who novels from Target books. Written by tie-in novel writer and friend of Terry Nation, John Peel, not to be confused with gruff deceased Radio 1 DJ and musicologist – although the Amazon listing for the novel confusingly does. With the generous extra pages afforded by Virgin Books, Peel took the opportunity to expand and revise the story. Peel makes several reference to the Interplanetary Mining Corporation as featured in Colony in Space. Which is rather like releasing an updated version of The Rise And Fall Of Ziggy Stardust And The Spiders From Mars and incorporating snatches of Tin Machine. 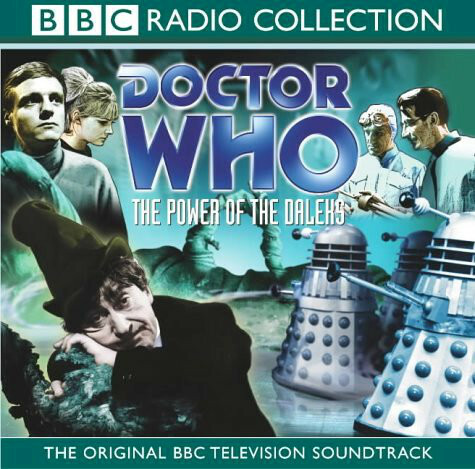 Just three weeks later (and you thought 2016 was the Year of Power), BBC Audio Collection made the first ever commercial version of The Power of the Daleks‘ off-air recording available. 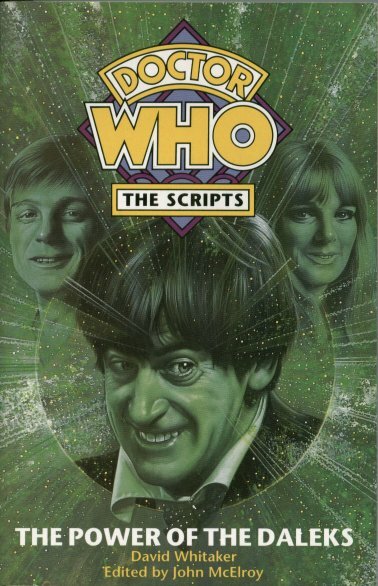 Following the runaway success* of Eric Saward’s 1985 Doctor Who radio play, Slipback, coupled with his extensive experience writing German radio dramas (thanks, Wikipedia), Saward was a natural choice to pen the linking parts for the cassette release. 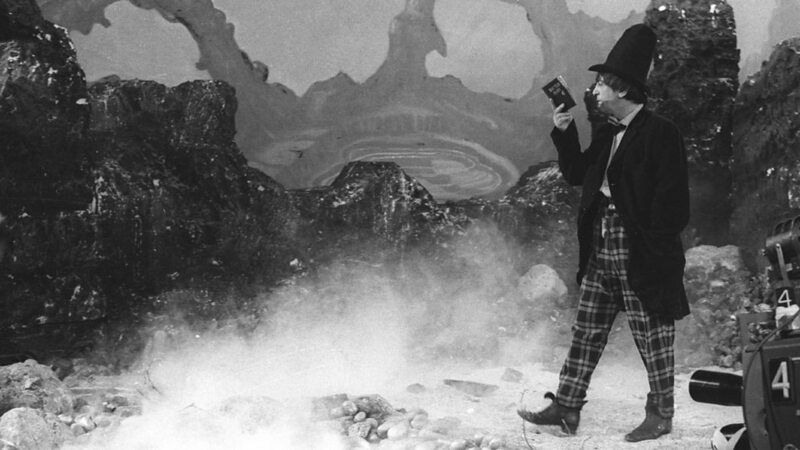 Eric’s narration was performed by Tom Baker in person as the Fourth Doctor/Tom Baker/Tom Baker playing ‘Tom Baker’ playing the Fourth Doctor that he excelled in around that time (the pinnacle being the links on the barmy Shada VHS release). All I can remember is that it was quite distracting from the TV audio, which was a bit muddy and hard to listen to. The plan was to re-release this with the audio cleaned up on CD in 2003 but – will they ever learn? – the BBC actually junked the mastertapes of Tom’s links. What is it with these people? If you want to get rid of a dead body, simply tattoo ‘The Power of the Daleks’ on its forehead and deposit the corpse in the reception at Broadcasting House. *as in, if someone asks you to listen to it, successfully run away. 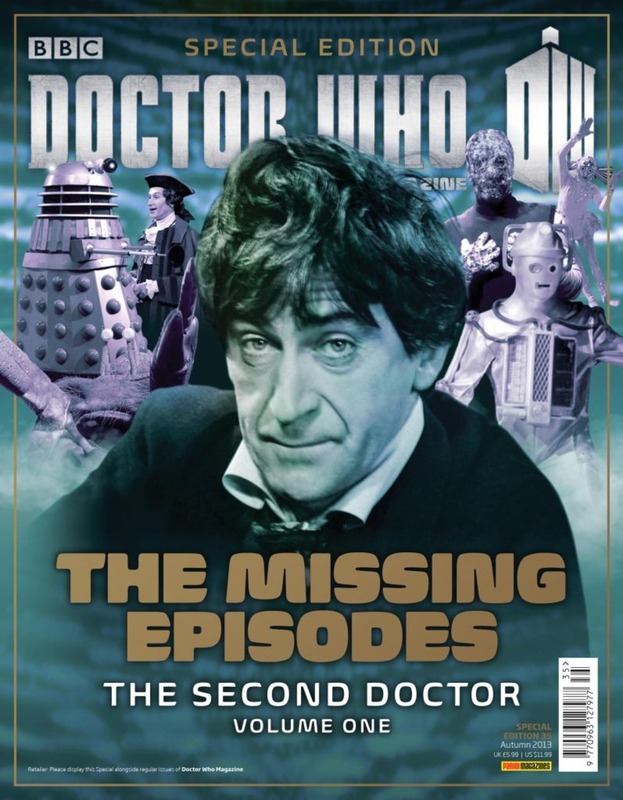 Send in the fans… Formed in 1998, Loose Cannon was an amateur video production company which set about the task of reconstructing missing stories and episodes of Doctor Who. The key was combining the off-air audio recordings with photographs taken off the TV screen. Known as Tele-snaps, these were taken by an innovative chap called John Cura who sold these early screenshots to the individual programme’s directors as a showcase for their work. 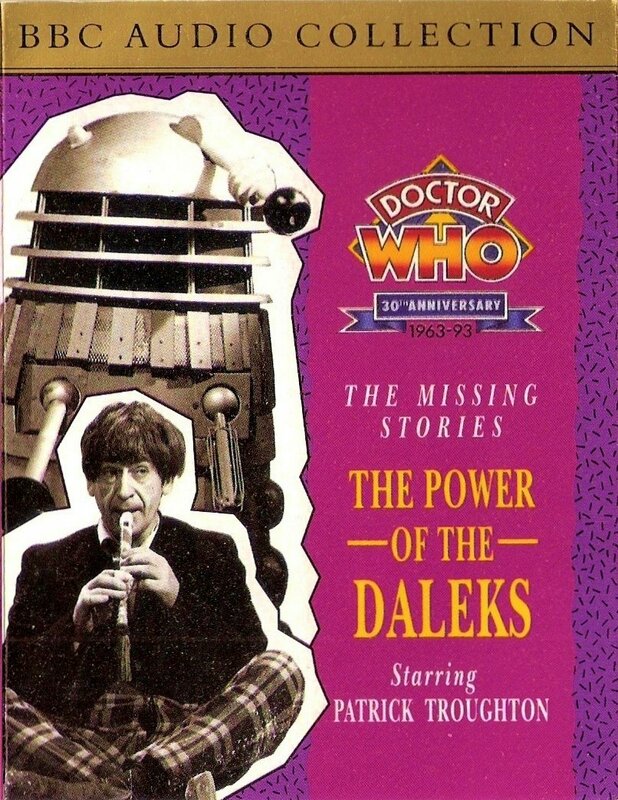 Loose Cannon’s 10th release was a full reconstruction of The Power of the Daleks, a heady mix of Graham Strong’s audio recording, surviving clips telesnaps, and ‘other authentic pictures’. It serves as the closest attempt so far to actually watching the story. And, if you were so petrified of the show that actually lived out the cliché of ‘watching from behind the sofa’ – only popping up every 20 seconds-or-so to catch a glimpse of the screen – then it is exactly like watching Doctor Who. Around seven minutes of clips from the original show now exists and most of these (bar a few bits found later) were included on this DVD release. This amounts to less than 5% of the original show but, with Power being the Holy Grail of missing Who, they are hugely precious minutes. Some nosey executive from BBC Audio must have looked into Loose Canon’s ‘amateur’ reconstructions (available for free) and wondered how they can get in on the act, combine tele-snaps and the Wills-narrated audio, put it on sale and rake in the cash from Who fans clearly desperate for yet another version of The Power of the Daleks. But they didn’t simply stick it on a DVD so that you could easily pop it into a player and watch it the way everyone watches a TV show – you know, on an actual TV. No, that was too simple. Instead, some thicko with a computer decided the future was CD-ROM. This was in the mid-2000s at the exact point when the CD-ROM revolution was entering its inexorable (and thankful) decline. Combined with a clunky interface, the fact that you had to sit down in front of a computer screen to watch a narrated slideshow of fuzzy images, meant this was not a multimedia experience that most people (including obsessive completist Doctor Who fans) wanted. The advertised next release of The Highlanders, unsurprisingly, failed to materialise. This was another fan attempt to bring back the lost show, cut down to 52 minutes with a post-2004 revived Doctor Who vibe. 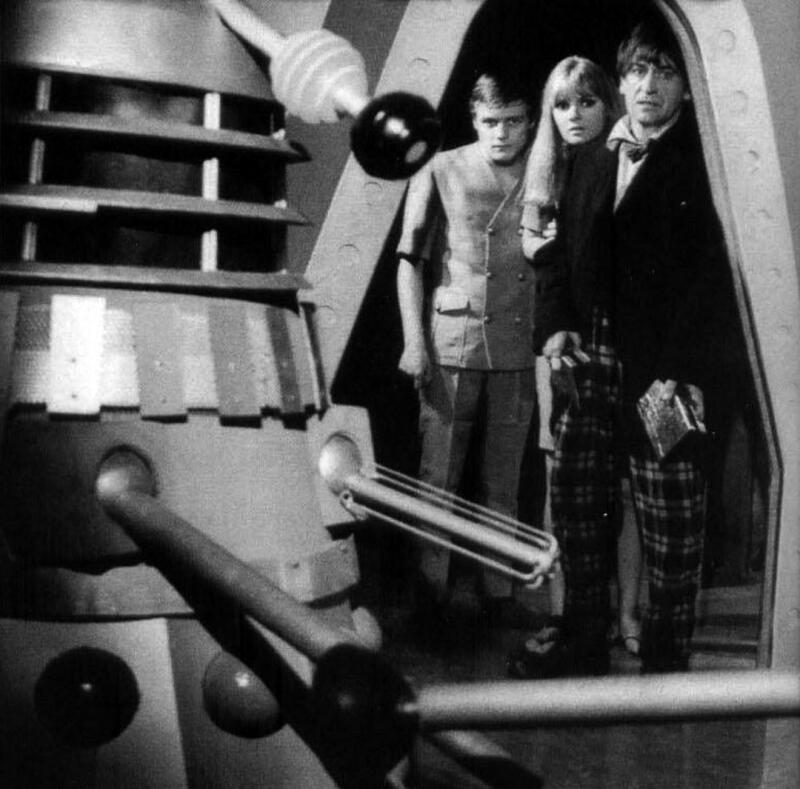 Produced by TNT Films, the film starred Nick Scovell as the Doctor, a part he’d played in a series of amateur stage productions of missing Troughton episodes. The film is no longer available on the YouTube but, from what I remember, it’s pretty good. But with around one third of the running time of the original, it is quite a different beast. 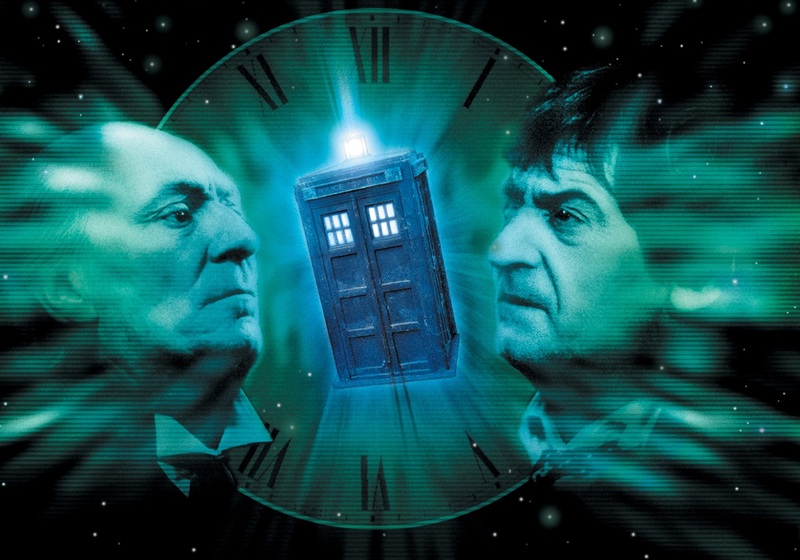 It opens with a strange sequence featuring uber-Who fans and Big Finish bigwigs Barnaby Edwards, Nick Briggs, and Lisa Bowerman, which served to add nothing other than to enable the producers to trail the show as ‘featuring guest stars Barnaby Edwards, Nick Briggs, and Lisa Bowerman’. These are two ways that the Tele-snaps have been presented on their own. The first is on the BBC website (now an archived page) where you can click your way through the off-screen shots, which are accompanied by occasional audio clips and uninspiring captions, the likes of ‘The man on the floor groans’, ‘The sucker stick twitches slightly,’ and ‘A guard opens the door’. Exciting stuff. We reach the present(ish) day with the latest and most ambitious attempt to recreate the classic lost serial. Once again using the off-air recording, but cleaned up to crisp near-perfection and matched with animation featuring character designs from acclaimed comic book artists, Martin Geraghty and Adrian Salmon. It was first available on the BBC Store, has been broadcast on BBC America, and released on DVD. Yes, after painstakingly producing a ’60s-looking monochrome, the makers decided to throw authenticity out of the window and colourise the $#!t out of it. Not that I’m complaining; I mean, it isn’t the original and it never will be, however closely they try to make it. 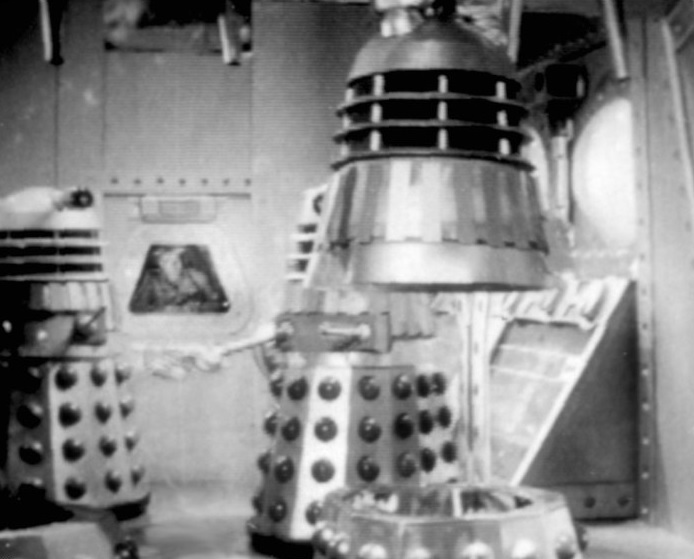 Plus, it give me hope for the future that people will continue to create and recreate The Power of the Daleks.